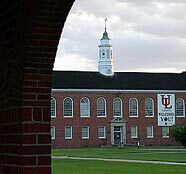 The University of Louisiana at Lafayette will host a Freshman Fair on Saturday, Aug. 21 to prepare ninth-grade students attending Louisiana colleges and universities in the of Fall 2014. The event is to inform these high school students and their parents about the changing college admissions requirements that will affect students graduating high school in 2014. The Freshman Fair is free and all upcoming high school freshmen are encouraged to attend. Check-in begins at 9:15 a.m. in the UL Lafayette Student Union, and the event concludes at 11:45 a.m. Students interested in participating should RSVP by calling (337) 482-5923 or sending an email with name and contact information to freshmanfair@louisiana.edu.